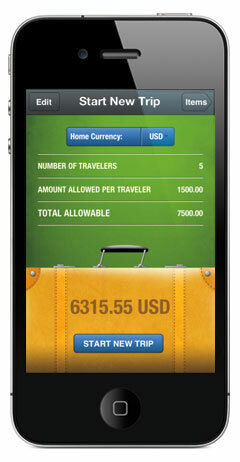 Put in your spending limit for a trip (i.e. the duty limit you're facing at customs). As you make purchases, enter them in the foreign currency; it converts them to your home currency and keeps a running tab of where you stand against the limit. You can also include pictures of your receipts, then e-mail yourself a document with the whole list. Pared-down, but effective. Find out from these hometown heroes where to wine and dine a client in Dallas, get a coffee in London, or take a steam in San Francisco.